Girls are not meant to be disney princesses, barbies and play with doll houses. Girls can be SUPERGIRLS too. For the super girls, who too wish to save the world from a catastrophe, PartyBell has super fun costumes that will keep the passion burning in them. 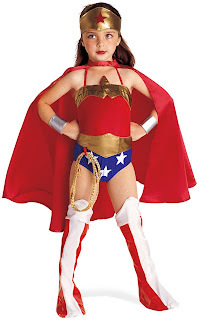 The officially licensed DC Comics vibrant red and blue costume includes headband, cape, red leotard, belt and lasso, bracelets and boot tops. 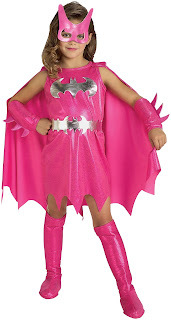 The officially licensed DC Comics hot pink costume includes dress, mask, belt, cuff, bootcovers. 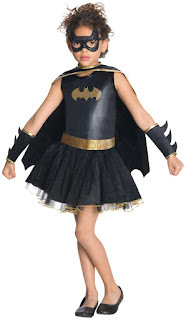 The officially licensed DC Comics batgirl costume includes a dress, cape, belt, eye mask and gauntlets. The officially licensed Marvel costume includes Marvel Girls Captain America costume with tutu dress and a mask. The officially licensed The Dark Knight Rises costume includes a jumpsuit, belt, eye mask, and shoe covers. Dig in PartyBell for many more cool costumes.